Even though principals do not directly educate students, their activities and decisions shape the teaching and learning that takes place in their schools. Understanding the relationships between how principals allot their time and educational outcomes could improve their training, selection, development, and evaluation. The main goals of our Faculty Innovation Grant are to 1) document how principals use their time, 2) examine differences in principal time use across various school settings, and 3) link principal time use to behavioral, emotional, and academic outcomes. With the FIG funding I obtained a longarm computerized quilting machine to do outline (in-the-ditch) quilting of my digital tiling prints to produce art quilts. 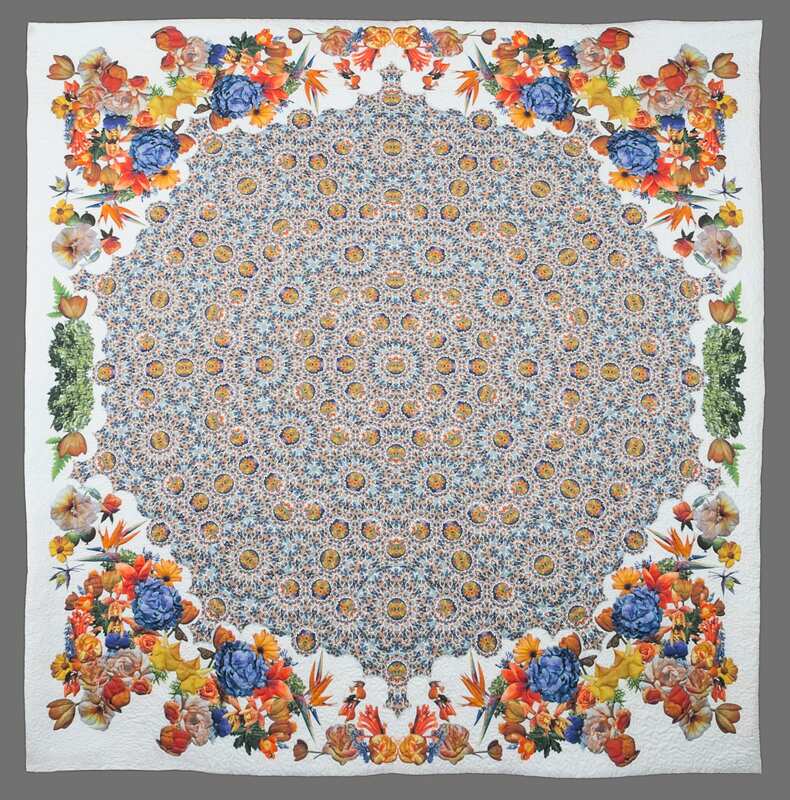 Freehand in-the-ditch-quilting follows the form of a design, usually close to the seams of pieced quilts. In this case, the “pieced” elements are individual units that are inspired by Islamic tiles called girih. My “piecing” is done in individual layers in Photoshop – typically as many as six hundred or more tiles. The resulting quilt is executed on whole cloth. Most bacteria have at their disposal a smart strategy to escape environmental chemical and physical stresses by forming fortress around themselves known as biofilms. Bacterial biofilm consists of a complex mixture of biopolymers including proteins and DNA. While biofilms are beneficial to bacteria, they are a big problem for public health. For example, bacterial biofilms frequently develop on surgical implants, which may lead to deteriorating performance and further complications. Over 80 percent of all incidences of microbial infections are related to biofilms. Biofilm–associated bacterial cells are inherently more tolerant to antibiotic treatment and can lie dormant to resist the actions of the antibiotics. The development of drugs that can disrupt biofilm formation and disperse existing biofilm is of prime importance.